The Canterbury Mayoral Forum has led development of a regional submission on the Government’s proposed reform of vocational education. Mayor David Ayers, lead Mayor for the Education and Training work programme of the Canterbury Regional Economic Development Strategy, facilitated discussions with the Forum’s Education and Training Governance Group to inform the regional submission. Members of the Governance Group include Ara Institute, the University of Canterbury, Lincoln University, the Lincoln-AgResearch Joint Facility, Community College North Canterbury, the Primary ITO, ChristchurchNZ, Aoraki Development and Tokona te Raki (Ngāi Tahu). You can read the submission here. In March 2019, the Canterbury Mayoral Forum submitted on the Government’s proposed policy changes on employer-assisted work visas. The submission advocates for policy settings that work for Canterbury and regional New Zealand, as well as for the country as a whole, and for labour market strategy, policy and planning to meet labour and skills shortages both now and in the future. The Mayoral Forum prepared its submission in consultation with the Canterbury Employers’ Chamber of Commerce, Federated Farmers, the region’s economic development agencies, and tertiary education and training providers. You can read the submission here. At its meeting on 1 February 2019, the Canterbury Mayoral Forum endorsed recommendations in a Local Government New Zealand report on climate change impacts released the previous day. The report shows that local government infrastructure in Canterbury has the highest exposure to risk of New Zealand’s 16 regions. In July 2018, the Mayoral Forum submitted to the Ministry of Business, Innovation and Employment on the Government’s proposed international visitor levy. You can read our submission here. You can read the Mayoral Forum’s submission (June 2018) to the Productivity Commission’s inquiry on a low-emissions economy here. You can read the Mayoral Forum’s submission (June 2018) on this Bill here. In December 2017, the Mayoral Forum identified advocacy on immigration and international education as a top priority for 2018. The Mayoral Forum prepared a discussion paper in consultation with ChristchurchNZ, the Canterbury Employers’ Chamber of Commerce and the international education sector. The Mayoral Forum has been using this as a basis for discussion with central government. In June 2018, the Mayoral Forum submitted on proposed changes to immigration settings for international students. You can read our submission here. On 25 May 2018, the Mayoral Forum reviewed its progress in implementing the Canterbury Local Authorities’ Triennial Agreement 2017–19. As we are roughly halfway through the local government term, it was timely to review achievements and focus on what remains to be done before local body elections in 2019. There is a link to the mid-term report in Related documents on this page. In May 2018, the New Zealand National Commission for UNESCO endorsed the Waitaki Whitestone Aspiring Geopark bid for international UNESCO Global Geopark status. Waitaki District Council will submit a letter of intent to UNESCO by 1 July and will then be required to develop a full dossier by the end of November, which will be assessed by an expert team in Paris. There are currently 140 UNESCO Global Geoparks in 38 countries. If Waitaki Whitestone is ultimately successful it will be the first in Australasia and would most likely gain UNESCO Global Geoparks status in 2019. The Canterbury Mayoral Forum supported bids by both the Waitaki Whitestone Aspiring Geopark and the Banks Peninsula / Te Pātaka o Rākaihautū Geopark. On 22 May 2018, Mayor Winton Dalley (Hurunui District) opened the Emerging Tech in Health symposium, a key event in the Christchurch programme for TechWeek 2018. You can see his presentation here. The Mayoral Forum initiated and continues to oversee the development and implementation of the Canterbury Water Management Strategy. At its August meeting, the Forum approved the 2017 CWMS Targets Progress Report for publication (see link at right). Mayors ‘stand together for Canterbury’ and advocate for the interests of our communities. In the first half of 2017, this advocacy has covered a wide range of issues: broadband and cellphone coverage, certainty for the Lincoln Hub, central government’s Clean Water regulatory proposals, the Health (Fluoridation of Drinking Water) Amendment Bill, the Lyttelton Port cruise ship berth, proposed immigration policy changes, and the timing of National Land Transport Programme funding announcements. Contact us for further information. 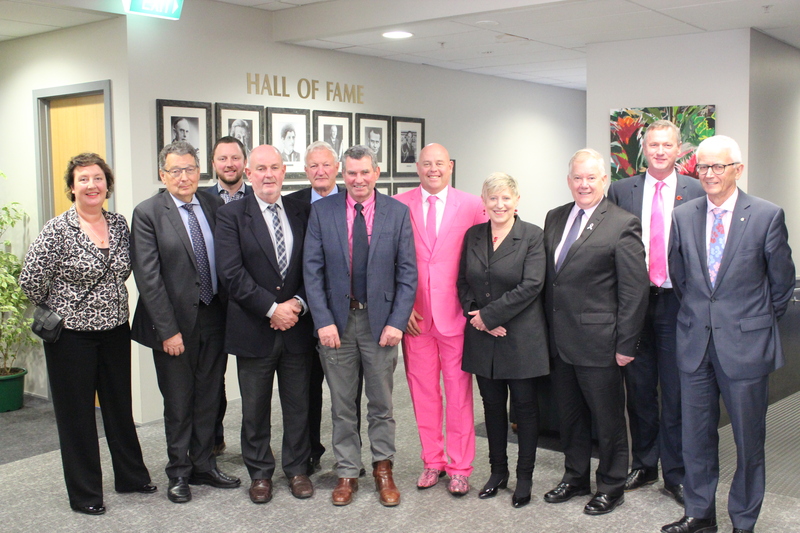 For the first time, the Canterbury Mayoral Forum met in Timaru on 26 May 2017, which coincided with anti-bullying Pink Shirt Day. The event was covered by the Timaru Herald: ‘First Timaru mayoral forum discusses Canterbury’s future‘. 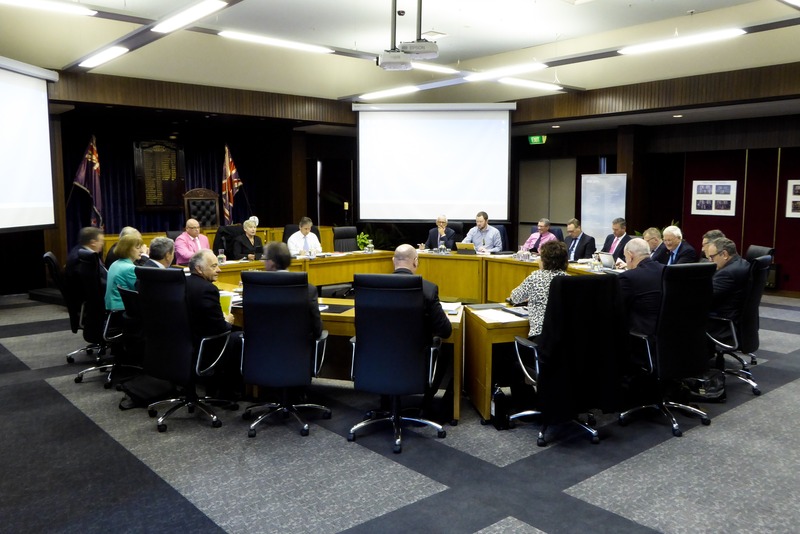 At its meeting on 27 January 2017, the Canterbury Mayoral Forum agreed to make a regional submission to the Health Select Committee reflecting the views of the nine district councils in Canterbury and the regional council. The Forum also supported the individual (and different) submission of the Christchurch City Council, in recognition of Christchurch’s unique circumstances. 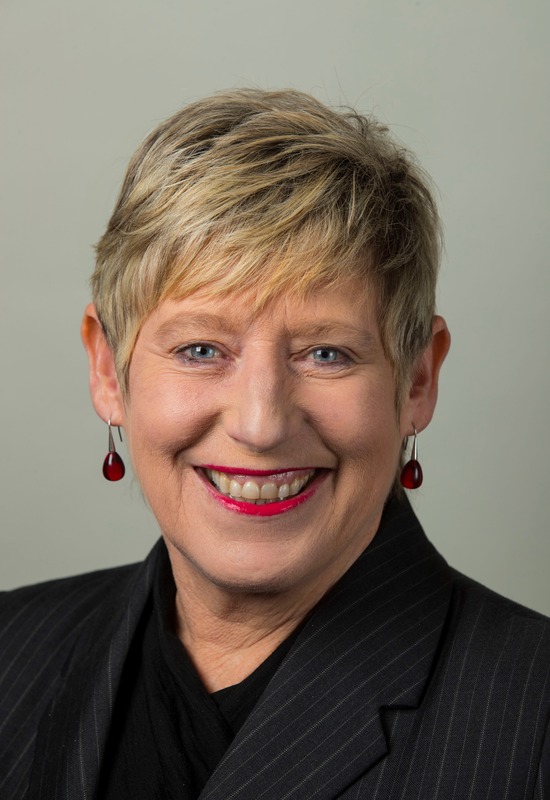 The Canterbury Mayoral Forum has elected Lianne Dalziel, Mayor of Christchurch City, as its chairperson for 2017–19. The Deputy-Chair is Damon Odey, Mayor of Timaru District.